We are so excited and grateful to the Lord for the arrival of Zane Emory! The delivery went very well and he was born at 9:30 am, Monday morning. Zane means “God is gracious” and He certainly is. 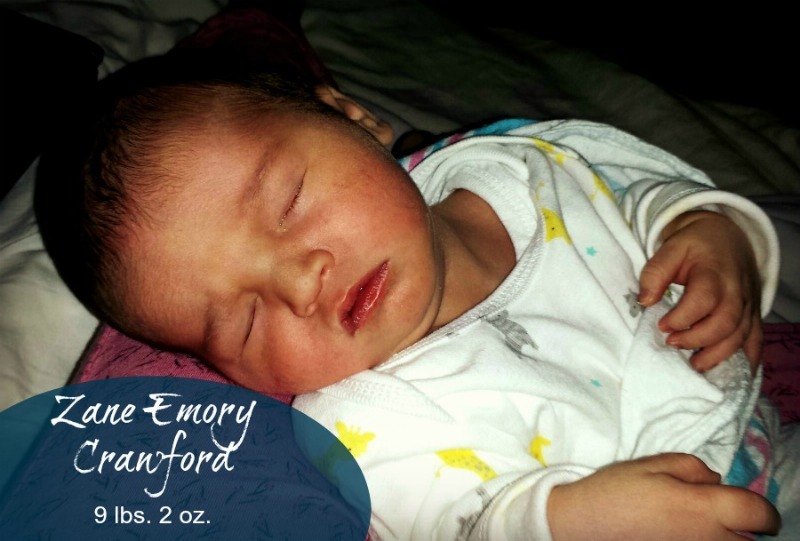 Emory means “brave” and we pray he’ll be! Everyone is enjoying this cutie pie and I appreciate all the prayers that have gone up on our behalf. My iron levels had gotten really low and as of my blood work during labor, they had gone up 10 points. So I’m already feeling better than I have in a while. And I have to say, at the age of 43, after giving birth to 11 children, one of the best compliments I’ve received was from my doctor yesterday who told my husband I had a beautiful uterus. I’ll take it. He’s beautiful! And you look sooo good…it doesn’t look like you just gave birth! Congratulations! Congratulations, what a sweetie. You are blessed! Aw, that’s good to know. I have heard that about your last. I’m assuming this is mine. Your baby is beautiful, as are you! 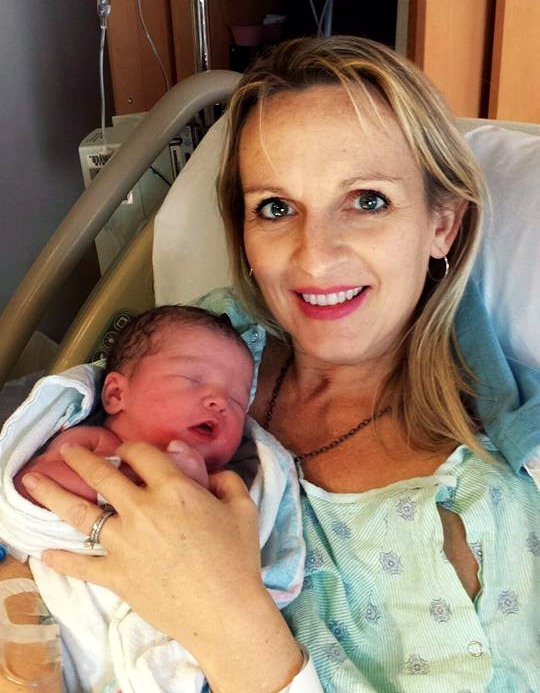 I wanted to share that I had my 9th and last baby at age 47. I am now a nursing soon-to-be-50-year-old! 🙂 I have loved having this precious boy, even at my age! (It seems so natural!) <3 He is a blessing to all the rest of the family, too, and I frequently hear, "Mama, thank you so much for having him!" Awww, Kim, what a sweet testimony! He is such a cutie, congratulations! I know all about those crazy birth adventures which does make it very hard for the next time…to decide when to go to the hospital. Enjoy those newborn cuddles. Congratulations! He is beautiful. I’ll have to take your doctor’s word for it about the uterus. 😉 Don’t be too quick to assume this is the last. I have a friend who had her last at 50. Very much a surprise baby. Thank you Cindy! Wow! That’s incredible. Many, many congratulations!!! Beautiful, good job!! Congratulations! I second the commenter who said you don’t look like you’ve given birth 🙂 Well done. Sorry, I meant you don’t look like you’ve *just* given birth- you look refreshed and full of energy! Thank you Gwen. I actually am not wild about this picture of me, but I appreciate the compliment! Congratulations! A beautiful addition to your family! We had our 6th on 1/11/2016 his middle name is Courage. I believe the Lord is speaking to us through these baby names! Enjoy the joy only a little wee one can bring into a home. Glory be to God! What a perfect, lovely thought. Thank you! I’m so happy for you! You look amazing & the little man is gorgeous! I would say you don’t look like you’ve given birth to that many babies, but I’ve noticed that the women I know who’ve birthed lots of babies, seem to be given some sort of youthful boost or something. Wow, congratulations!!!!!!! You are truly blessed! And yes, you look amazing – great compliment about your uterus! Hee hee!! And Zane is just adorable! Oh Congratulations!! We are expecting number 8 and I will be 47 when he/she is born. All the glory goes to God! I didn’t get pregnant, but a friend, who is 50, told me she has ovulated several times since her last menses. I never knew that could happen. Thank you 6 arrows! It is amazing to comprehend God’s sovereignty. What a blessing to you sweet Zane must be! Babies are TRULY a gift from the Lord!! We were blessed with our 9th last year ( I’m 43), and it grieves my heart that she could be our last baby. They are all so precious, and being a mother especially to little newborns is such a special but all to fleeting season in our lives! Praise God for His wonderful gifts to us!!! May we be faithful to train each precious skull in the nurture & admonition of the Lord! Thank you Courtney! Yes, even with multiple children, it is sad when such a precious thing comes to an end. First of all, congrats! I have 8 children and we believe that a child’s name can often have links to their personality type. I knew a boy named chase, and he was the epitome of his name, he would often make his mother chase him whenever he misbehaved and needed a good spanking. I really felt bad for his mother. And apparently the Chinese believe the same thing! So there you go. That’s interesting–names were very influential in Bible times too. Thank you. I rejoice with you in the birth of your beautiful son, Zane! I had my eleventh child at 43 (15 years ago) and he has been such a blessing. We had our 11 in 21 years and they are ALL close, for which we are grateful. Hope you recover quickly from the birth (my last one took a little longer) and enjoy the latest edition! Thank you! Yes, I already feel not quite as spry as usual 😉 But that’s OK…we have time. This is wonderful news. I only had three, but each is a blessing from God. Now I get to care for grandchildren! Which I’ve heard is even more fun! Congratulations! Zane is a doll. Oh Kelli! He’s absolutely gorgeous! What a sweetheart! I had my #11 just before turning 42. She is now 9 months old. Congratulations! He’s really handsome. 🙂 Congratulations, Kelly. I am 40, and just 8 weeks (tomorrow) pregnant and hoping and praying we make it full term after 2 recent miscarriages. I pray that for you too, Cecilia. Congratulations! I am so happy for you! At 43, I would be so grateful if God chose to give me another child! Enjoy every minute and may God bless you! He is so good! Thank you, Amie. You never know! Congratulations to the Crawford family! Such a beautiful child. Blessings abound. What a beautiful baby indeed. Just as many other have said, you look great!! No one could ever think you had just given birth. Congratulations! I am expecting #8 and will be just a month shy of 43 when he arrives in April. You do look so good. He is precious. Congratulations! I rejoice with you in the birth of your precious Zane!! What a beautiful baby, and what a wonderful blessing he is! You are my best source of Godly encouragement for women, and my family knows that well…so our family is rejoicing greatly for this new joy for your family. There were great cheers in Arizona this morning when I read the news at the breakfast table! Your words of wisdom, well-rooted in scripture, have been life-changing for us (including turning our hearts to what God says about children and His sovereignty), which has led to the increase of our family (3 additional children so far…thanks Kelly! ), and a whole different perspective on my role for me. Your transparency, authenticity, and boldness to talk about what no one else will has changed our family and my marriage. Thank you, Kelly, for being that woman for me. As you take this time to heal and rest, please know that we will be praying for you, and I will eagerly be anticipating the lessons that you can teach me as you raise Zane in the knowledge and admonition of our sweet Savior. Congratulations Crawfords! Congratulations, on the birth of your beautiful baby. I am the Mother of nine amazing children, my youngest was born last month. Congrats Kelly! I am 44 and had my 8th a year ago. His name is Wyatt Valor which means Brave Strong and courageous. I love name meanings. Thank you for Sharing! Blessings to your Family. I am so excited! I also have boy named Zane. He is 2. Our son’s name in Arabic means “handsome, graceful”. We are Muslim. Your boy is beautiful. May Allah richly bless you and your beautiful uterus. Dear Juliet, I am sure that you mean well with your blessing, but I would not be showing you love if I were not to point out that we do not worship the same God. Christians do not want to be blessed by Allah. There is only one true God and he and Allah are not the same. Praying that you would know the peace and joy that comes through being reconciled to God through the life of Jesus Christ. For he is the Way, the Truth, and the Life and no one comes to the Father except through Him. For some reason I thought you still had a month or two to go, but I am sure you are MORE than glad that is not the case!! I’m smiling over your boy’s name, what a good choice! We named our second child Ezra Zane because we loved the meaning behind both names. You look pretty refreshed for just having given birth! I know the first few days are kind of a rush of adrenaline and awe in another miracle, but I will pray for you in the weeks and months ahead. May God’s grace give you physical stamina to keep up with everything and may His peace rest on you. Such an exciting time in welcoming a newborn; each time a testimony to God’s attention to His very own creation! Congrats. Kelly, you are a blessed woman! I am not online enough to know this little one was even on the way…much love and congratulations! I just gave birth to our 9th this morning! I have been reading your blog for awhile now and have never commented but I have been so encouraged by your insights on motherhood and education. Having an open womb can feel lonely sometimes and scary! But God has been using it for my sanctification and an avenue to know Him and identify with Him better. Thank you for being like a cup of cold water to women like me who are blessed with your example of surrender. By the way I found the comments on these manly boy names interesting! We named our son Garrett (strong sword) Andrew (courageous). God knows how much we need a generation of strong, godly men! Blessings! I gave birth to my ninth at age 44. He is 6 now and such a sweetie! 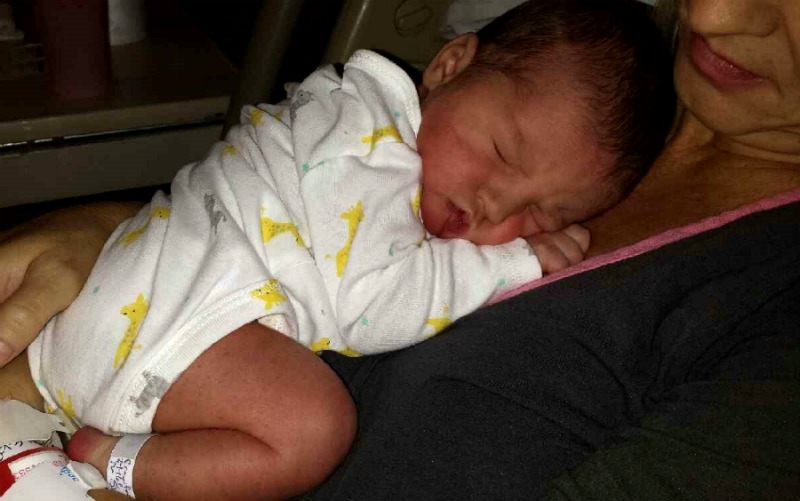 Zane is absolutely precious, Congratulations! Congratulations Kelly. He is precious, God is good, may He be glorified!!!!!! Thank you all so much for celebrating with us!!! Zane. Is on my list of future names. Thank you! I have read some of supernatural childbirth. And I don’t mean any disrespect, but “pain free delivery” is a lie…at least for my deliveries. Even through God and prayer, since the Bible promises that pain is now a naturally occurring incident with childbirth. I have to agree with Kelly about pain & childbirth! I have met a few women who claim pain free births with prayer…I’m not saying their lying…but it’s hard for me to believe personally. I purposefully eschewed pain relief for my first three natural births, went into it with the ideas and belief that births could be “pain free.” After my first birth, I realized that it wasn’t possible. I was injured, stem to stern and there is nothing that could have prevented that. The baby was full posterior (face up) and had a head size in the 99th percentile. 29hours of back labor, no pain relief in sight. I tried again with my second, once again I was unlucky and had a posterior child and felt every bit of that flesh tear after 32hours of unmedicated back labor. My third child was only mildly less painful as he wasn’t posterior, but his birth was the longest and still very painful. 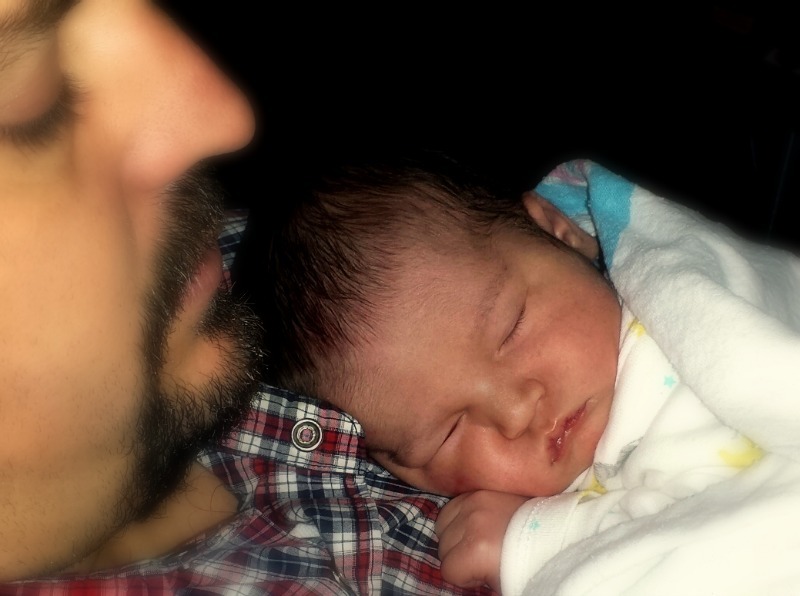 By the time my fourth came I decided on an epidural. I had a 2 hour labor and felt nothing. It was the best experience with birth. I will never give birth without pain relief again if it can be helped. I agree about the pain-free birth. I am a huge believer in natural births, and the power of a woman’s body to give birth and I researched pain-free births and did all they recommended. I had fantastic births, all natural, no pain relief, my last baby was born 15 minutes after I woke up, so about as quick and pain-free as it is possible to get! But I still was in terrible pain, I was frightened, my body went into shock, and I required stitches. It certainly wasn’t a pain-free experience. It was an awesome, empowering experience and a very good birth by all accounts, but it certainly can’t be described as “pain free”. After listening to [Jackie’s] entire tape [“Supernatural Childbirth”]…I learned how to speak to the baby inside me and to speak to each part of my body and command it to line up in God’s perfect working order. I’m sorry, but no human can command one’s body to “line up in God’s perfect working order.” That assertion is not only incorrect, it is dangerous to think we have that kind of power over our bodies. It is the antithesis of Biblical thinking to assume one can cause a thing to work perfectly in this fallen world. God and His sovereignty over the functioning of our bodies are taken right out of the picture with the notion that we can command our bodies to do what we wish, and have them respond perfectly, if only we apply “faith principles,” as outlined elsewhere in the book. By faith we trust in the Lord’s sovereignty, knowing that He will give the grace we need to endure every circumstance He ordains, whether related to childbearing or anything else in life. We cannot put our faith in mind-over-matter techniques and call it faith in God. Our joy and peace is found in Christ, not in our efforts to escape pain or trial. He does not promise He will provide a pain-free existence on this earth or in any of the circumstances we may face, including in childbearing, but our Lord promises in Romans 8:28 that everything will work together for good to those who love Him, who are the called according to His purpose. And that is a beautiful truth we can cling to at all times. Congratulations! Your baby is so beautiful and you look amazing. I am close to your age and it is inspiring to read your story. What language did you take his names from? Great meanings! Zane is Hebrew for John, I think. Congratulations, Kelly! What a fine baby!